Many large and small customers use surplus or new seats/backs to replace aging seats in their facilities, not touching the legs or anchor bolts. Sometimes they do paint the legs, in place or off-site, but often no painting and just a small percentage of anchor bolts need updating. 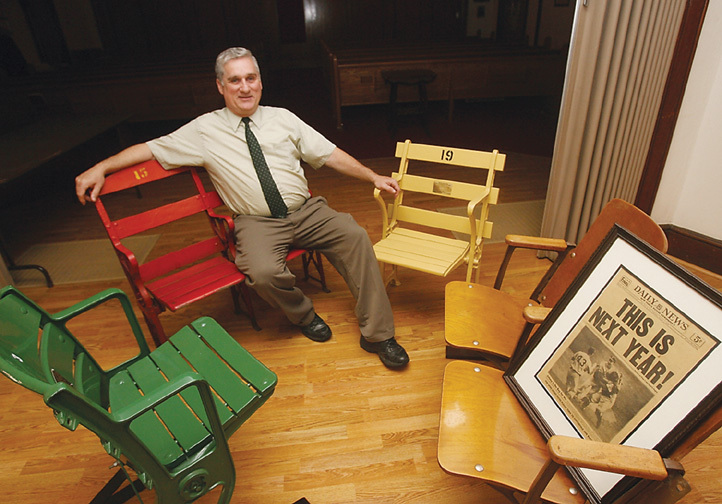 Antique stadium seats can be found littering attics, closets, basement and garage junk piles across the US. These long-forgotten relics of sports history were most likely abandoned in frustration, during attempts to restore them to their former splendor. Please contact us or call (856-692-0242) to learn more about restoring your seats. Thanks for looking! 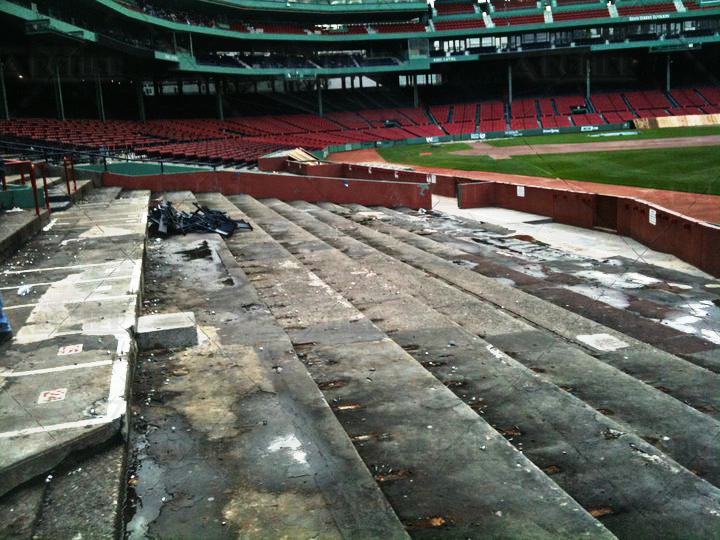 One of our many expertises and services is stadium seat removal. 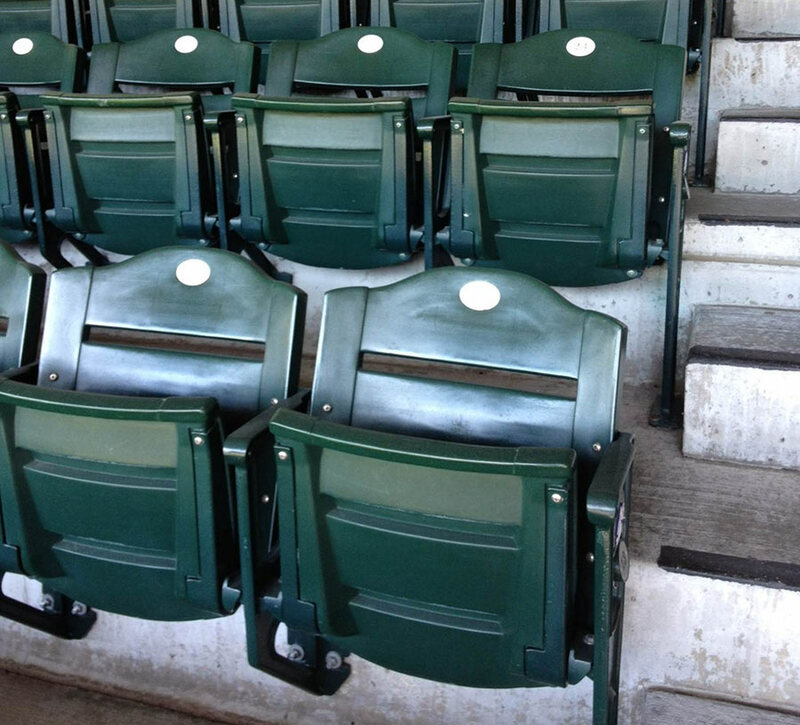 We have been involved with many large seat removal projects in the past, including the removal of seats from Shea Stadium, former home of the New York Mets, which was no small task. Within two weeks, however, every seat in the stadium was carefully removed and whisked away to be inspected, repaired, boxed and distributed to fans around the globe. We also have removed seats of Dallas Stadium (Dallas Cowboys), Tiger Stadium (Detroit Tigers), Oriole Park (Baltimore Orioles), and the famous Fenway Park (Boston Red Sox). Those are only some of the few that we have removed seats from. Click on the button below or call us to learn more about this service. Designed by: Studio 474 | © 2017 Archer Seating. All Rights Reserved.